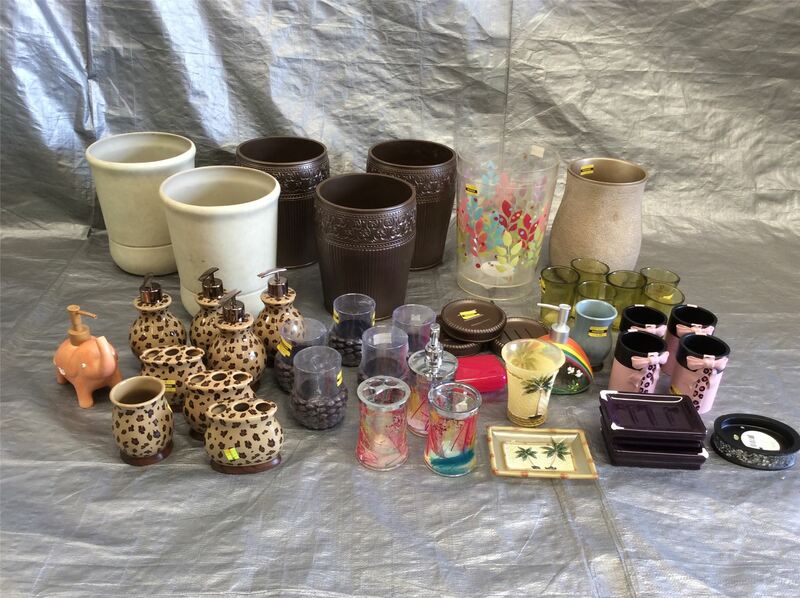 Wholesale lot of assorted bathroom decor from major retail stores. Mixed Designs & Patterns. Approx. 45 Pieces Averaging $1.17 Per Piece. Perfect for all types of resellers. These lots have historically been very profitable for resellers due to the low prices per unit. The items in the lot consist of a mixture of Shelf Pulls, Overstock, Seasonal Items, and store returns. We have not inspected these items to any extent. The images included in this listing show a variety of what will be included in your purchase. Trash Bins, Soap Dispensers, Lotion Pumps, Soap Dishes, Toothbrush Holder and More. Approx. MSRP averaging $9.99 and up Per Piece. Click the button below to add the Wholesale Lot of Assorted Bathroom Decor, Mixed Styles and Patterns Approx. 45 Pieces to your wish list.